Considering getting a Clumber Spaniel? The Clumber Spaniel is the largest of the Spaniel breed, which weighs 55 to 85 pounds and stands 43 to 51 centimetres at the withers. It was originally bred as a gundog utilised to find and retrieve game birds. Today, Clumbers can be seen competing in tracking, obedience and other canine sports. The Clumber Spaniel lives up to 15 years if given the proper care. This dog breed is playful, intelligent and charming. Are you looking to own a Clumber Spaniel? Here is a brief background of this large Spaniel dog breed. The Clumber Spaniel breed dates back to the latter part of the 16th century during the French Revolution of 1789. Stories told that during the revolution a French Duke (Duc de Noailles) saved the breed by sending the dogs to the Duke's Clumber Park estate, where the breed acquired its name. Since then the Clumber Spaniel has been kept and bred by British Monarchs including Prince Albert, King Edward VII and King George V.
In 1844, a British officer brought the breed to North America via Halifax, Nova Scotia where it was later recognised as one of the first nine breeds the American Kennel Club registered in 1878. Today, the Clumber Spaniel ranks 121st among the 155 dog breeds registered in the AKC. The Clumber Spaniel is the largest among the spaniel breeds standing only 43 to 51 centimetres at the withers but weighing from 55 to 85 pounds. It resembles the Sussex Spaniel when it comes to its shape. However, the Clumber is heavy-boned with a massive melting head. It has soulful eyes with a dopey expression, distinguished deep stop, square nose and large vine-like ears. This dog breed has a body that is rectangular in proportion (longer than its height). Since it has short legs, it tends to slightly roll while walking but with an easy going pace. The Clumber Spaniel has a silky coat that lies flat to its body. The ears, legs and chest are moderately feathered while sporting a frill around the neck. The Clumber’s coat comes in two colour types: a plain white body with either a lemon or orange markings. They are average shedders, but there are some days they will shed heavily. To keep loose hair to a minimum, daily brushing is required. Bathing can be done when necessary especially if the coat already holds a significant amount of dirt. While grooming, don't forget to check for sores or signs of infection such as redness and tenderness. Preventive measures must also be taken to ensure that a Clumber does not develop ear infections. Gently wipe the ear with moistened cotton ball using a vet-recommended solution. Also, take good care of its teeth by brushing it twice or thrice a week to remove tartar and prevent gum disease and bad breath. The Clumber Spaniel is friendly, sweet, fun-loving and affectionate. It forms strong bonds with the family but is aloof and dignified around strangers. This dog breed is prone to carry things almost all the time due to its trophy mentality. Clumbers are intelligent spaniel breed. Thus, it is train. It also known to be extremely good with children and other pets. The Clumber Spaniel is well-suited to a household where one family member stays at home. This spaniel breed often suffers from separation anxiety when left alone for long periods of time. When this happens, it becomes destructive at home. Not to be mistaken as stubbornness, Clumbers are independent with the tendency to investigate a scent above all else. It is critical to establish yourself as the leader of the pack early on, so it will respect your authority. Early socialisation is crucial when young to curb negative behaviours such as digging, chewing, fridge-raiding, and rummaging through trash. A typical serving of an adult Clumber Spaniel is 2 to 2.5 cups of excellent quality dry dog food per day. Be reminded that the amount of food you give will depend on its age, size, build, metabolism, and activity level. Dog owners need to know the basic nutritional needs of the Clumber Spaniel considering its characteristics. When in doubt, consult with your veterinarian. 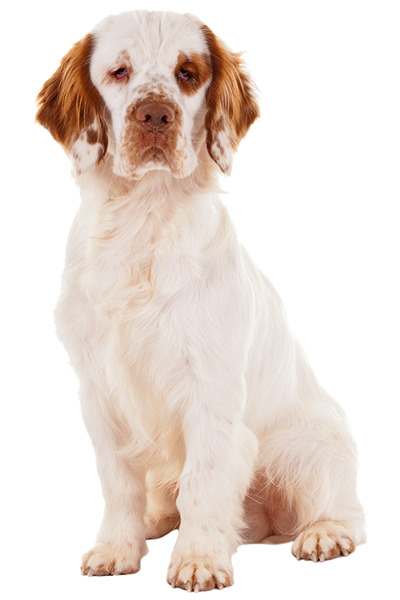 Make sure to provide your Clumber Spaniel with a balanced diet composed of protein and fibre. Protein sources can come from beef, chicken, turkey, salmon, and eggs. Omega 3 fatty acids are also good for its coat. Avoid free-feeding your Clumber, so it doesn’t quickly gain excess weight. The average lifespan of the Clumber Spaniel is 9 to 15 years. Despite being a healthy dog breed, Clumbers are also predisposed to eye problems such as Entropion and Ectropion, disk problems, Hip Dysplasia and allergies. Clumber Spaniels are not high energy dogs and will be fine with 30-minute walk. They will also enjoy playing fetch. Be careful not to over-exercise young Clumbers. Their bones are still developing, and excessive pressure may pose future health problems. The cost to buy a Clumber Spaniel depends on many factors such as breeder's reputation and location, the puppy's lineage, breed popularity, training, and socialisation efforts it received. Considering all these factors, a Clumber Spaniel may cost you anywhere from £600 to £850. However, the annual cost must not be overlooked when caring for a Clumber Spaniel. When calculating your budget, make sure to account the price of food that is about £40 to £60 monthly and vaccines and other veterinary consultation bills, which will quickly add up to £1,000 a year. Don't forget to factor in pet insurance, which may set you back £26 a month for a basic cover or £62 a month for a lifetime policy. Roughly, you will be shelling out around £90 to £140 a month for the upkeep of a Clumber Spaniel. However, this estimate largely depends on the type of pet insurance you avail, also provided that the insurance covers sudden illnesses. 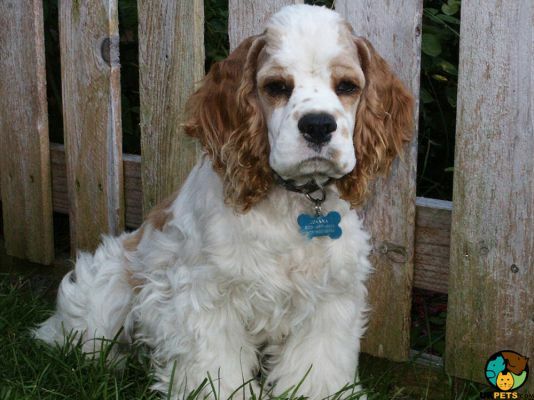 Is a Clumber Spaniel Right for You? Clumber Spaniels are moderate shedders, which require daily brushing. 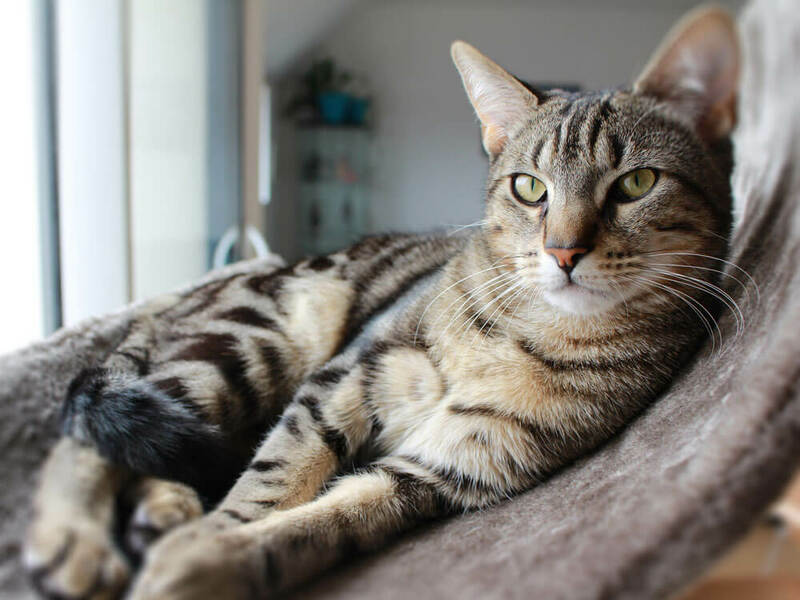 They are outgoing, playful and happy, making makes a favourite family pet. 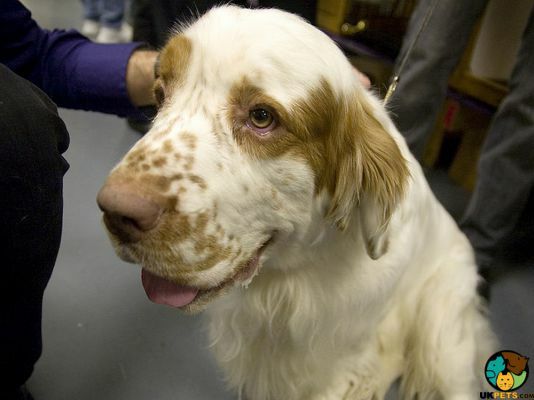 The Clumber Spaniel gets along well with children and other pets. If not correctly socialised, they exhibit negative behaviours such as digging, chewing, fridge-raiding, among others. Clumber Spaniel is also known to suffer from separation anxiety.